87L SEVEN PACES V601- born 1/29/06, He is a buck that throws alot of color and puts muscle on his kids. We have kept replacements out of this buck and his daughters produce very well for us and a couple buck kids have went on to their own herds. His pedigree includes: DSM PACE MAKER, EGGSFILE, DSM DAWN DANCING, CROCIDILE DUNDEE, GERONIMO"s PBL, THE OLD MAN, THE BOY NAMED SUE. 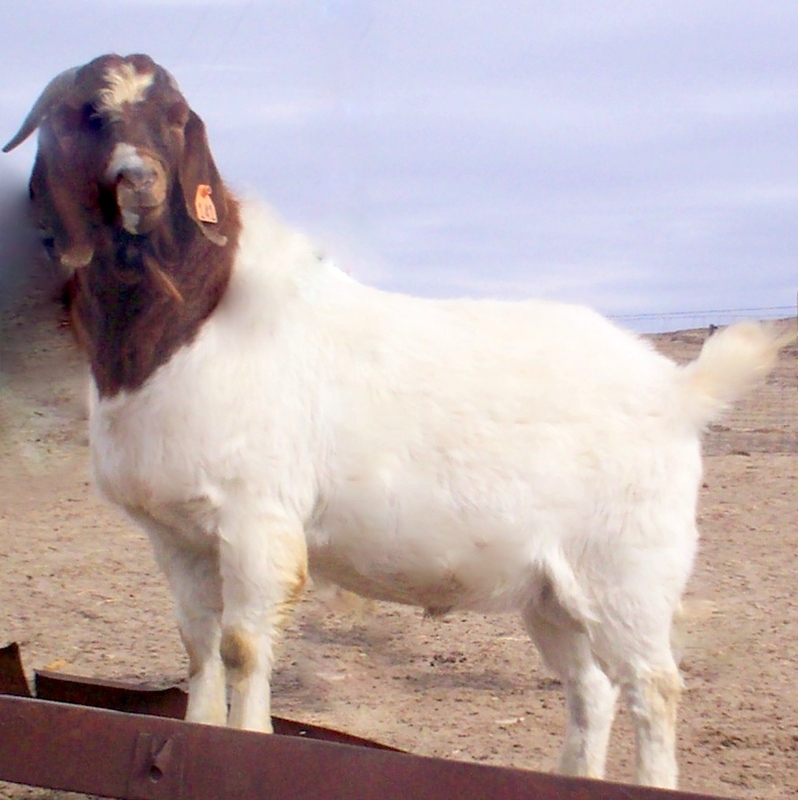 LNS 141 SA : Born 5/19/05 , breeder is AGAPE RANCH out of RIO VISTA, TX, is our current senior herdsire , He adds femininity more leg and longer bodies to his does, they make very nice mothers. His pedigree includes: 20AK APACHE, POWELL/HOLMAN 75L, RMB BALCONES BIG EGG, DNF GRACE, POWELL/HOLMAN IMPRESSIVE LASSIE, EGGSTREME *AM EN*, BALCONES KERALA, AMAZING ANNETTE, TND LEROY, TABU *EN*, 2SIS TAMU*EN*, and many more. All his kids look pretty much just like him, very true to form.